It’s 2019. The sun is shining, the birds are chirping and emojis are everywhere. This should be no surprise. Emojis have seeped through our typed vernacular and have become the first new language of the digital era. They are in our text messages, our Instagram captions, our grandmothers’ Facebook comments and — you guessed it! — in our B2B marketing campaigns. Emoji is not a language spoken exclusively by millennials toting iPhones and shoulder fanny packs. Emojis are for everyone. The earliest ancestors of the emoji can be traced back to the realm of 1990s chat rooms, where the “emoticon” was developed. Emoticons were simple gestures like : – ) and : – ( or the flirty ; – ). Similar to emojis today, emoticons were used to express the sentiment behind typed messages. The first emoji was created by Shigetaka Kurita in 1999, using a mere 144 pixels. The Japanese designer developed a set of emojis equal to 176 designs that illustrated common ideas, places and emotions for his company DoCoMo. His goal was to save characters used in their internal communication platform, which limited each email to 250 characters. Emojis would be a mainstay in Japan for the next decade, until 2010 when they were picked up by Unicode and then released by iPhone and Android. Today, emojis have evolved to be popular, plentiful and diverse. The emoji language has amassed a total of 2,823 characters (as of the latest release, Emoji 11.0 in June 2018). As it relates to our digital language and presence online, 92 percent of the world’s online population use emojis. Don’t believe me? Check out this experimental, real-time emoji use tracker for Twitter. According to the 2016 Emoji Report, people who are heavy emoji users are referred to as the “Emoji Elite” – and you might be surprised to find out that this group is made up of 31 percent baby boomers, 31 percent Generation X and 38 percent millennials. While the Emoji Elite group skews younger and female (56 percent), research shows that this is not an exclusive group; people of all ages and genders are speaking emoji. As emoji usage continues to surge, brands and marketers alike are taking notice. Effective marketing campaigns use customer data to drive a concise tonality that will resonate with their target audience. 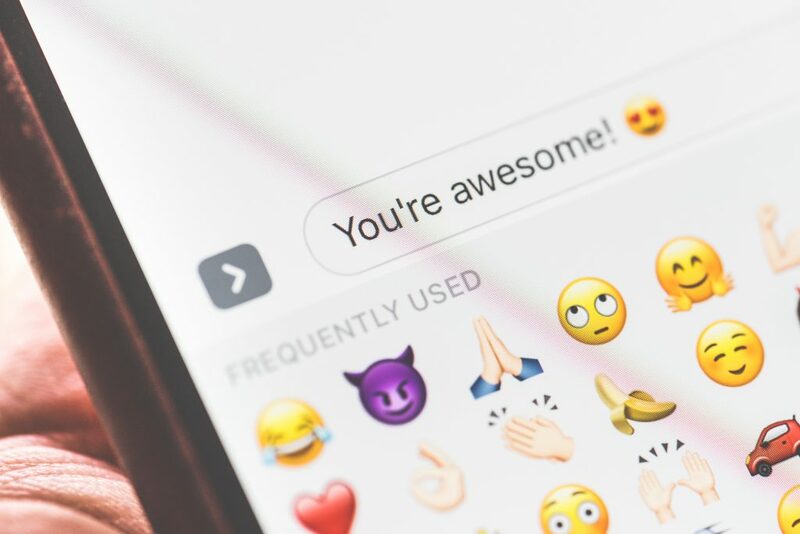 As emoji is quickly becoming a universal language, integrating emojis into your marketing campaigns should be a top consideration for 2019 and beyond. Emojis are ingrained into our everyday communication, but they are no longer confined to our messaging apps — they are go-to responses on social media platforms, they are used for retargeting digital ads, companies are buying emoji domains, and brands and celebrities alike are creating their own lines of custom emojis. Not only should you incorporate emojis into your marketing tactics, you must. Brands who simply ignore the emoji uprising will soon feel the effects of their online presence being left behind in favor of more assimilated competitors. Lucky for us, this evolutionary digital language has a significant upside if strategically implemented. Infusing emojis into your marketing will help humanize your brand and add more emotion and meaning to your content. Your audience can more easily interpret and respond to your posts and thus may be more likely to engage with your online content. Start small. If your brand is new to emojis, work with your PR or social media team to develop a strategy for integrating emojis into your marketing. Something like responding to positive customer feedback with a or is a good way to encourage engagement without disrupting your carefully developed brand voice. Get in tune with your audience . Research your audience on Instagram, Twitter and Facebook. Learn how they use emojis in their posts and determine a strategy that is natural to the way your audience reads and writes. Study context. (See Phil Dunphy, Modern Family, “Cool Dad” scene .) Much like Phil, blindly following a trend will not earn your brand cool points. To avoid an emoji fail, ensure that your emojis mean what you think they mean. Check the Emojipedia to read the intended meaning behind each emoji and search for emojis that compatible with your platforms. Act natural. Look into your existing online presence. Does your brand naturally align with a certain emoji (like or )? If so, embrace it and integrate it into your existing social media strategies. Test it out . Want to test the waters before jumping in? Great idea. Testing is a great way to determine audience engagement with emoji strategies. You could design an A/B email test to a 50/50 audience with emoji-laden copy or subject line versus a non-emoji email. Or create a paid social media post and split test the same message, testing one with emojis and one without. While the future of emojis can only be determined by a , we can be sure they will continue to evolve, further mold our culture and influence our marketing strategies for years to come. How do you humanize your brand? Drop us a comment — or an emoji — below. 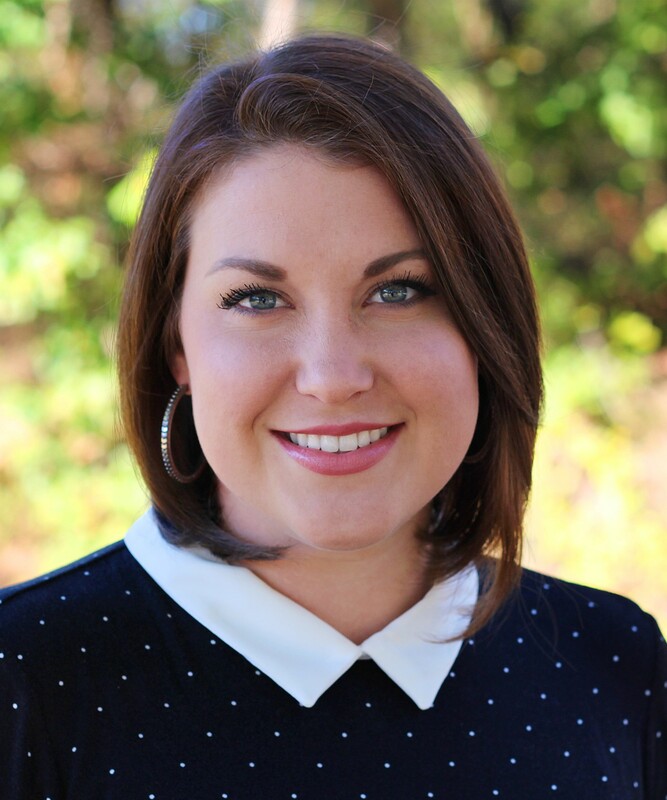 Dana, a graduate of the University of South Carolina Upstate, joins the VantagePoint team as senior account executive with a background in marketing and account management, having previously served as a Creative Account Manager for a full-service direct marketing company. On the weekend, you’ll probably find Dana and her fiancé taking their lab-mix, Junie B., to the lake or various dog-friendly establishments around town.